Getting your luxury property ready to sell is about more than cleaning up the exterior, decluttering and calling in a photographer. Rather, to successfully market real estate online, you need to bring together photo captions that capture attention, copywriting that builds an emotional connection and video that tells a story to express the lifestyle value of the property. Here, we reveal the insights we’ve gathered over many years working with waterfront and luxury real estate experts and seeing hundreds of properties posted on our site, Waterfront West. It’s no surprise that the photos of your property in your listing will capture the most attention, but did you know that captions are equally important for drawing in buyers? Your main property photo will likely appear in many places online and high-quality photos and will be front and centre in your print advertising as well, so having beautiful, professional shots will elevate your digital marketing campaign well above the pack. While the majority of agents understand the importance of using high-quality images to showcase their luxury properties, adding photo captions to these images is often overlooked as an opportunity to hook buyers. “Don’t neglect your photo captions, which are arguably the most important piece of text in your entire listing,” Chip Conley, Airbnb’s head of global hospitality, recently told New York magazine. “People read photo captions more than they read the listing, so put the most important information in them.” While Airbnb is a hospitality website, real estate portals are similar in that buyers are looking through hundreds of listings to get a quick understanding of the basic features of the property, so this is one simple and free way to make your own listings or properties stand-out to website visitors. Enjoy afternoon sun and captivating sunsets on your oceanfront patio with Western exposure. If your property photos are intended to capture attention, then your photo captions should aim to convert attention into interest and drive the buyer to read the listing where you can engage them in a longer conversation. Tip: While professional photographs are the preferred way to go, if they are not in your budget, brush-up on your own skills with an online course like this one. So you’ve captured attention with beautiful images and spiked the buyer’s interest with photo captions. Now it’s time to seal the deal with a well-written listing that drives home both the bricks-and-mortar features of the property and the lifestyle component of the home. Copywriting is more important that you might think. Well-known US property portal Zillow recently published a study of words that correlate with increased (and decreased) sales values based on data from their site. Homes described with the words "luxurious," "captivating" or "impeccable," for example, sold for more on average than expected, while lower-tiered homes with the words "potential" or "investment", in the listing descriptions, sold for less than expected on average. Besides your choice of words, the key here is to encourage your buyer to feel an attachment to the property before they even see it in person. To achieve this you need to build emotion and help your readers envision themselves living in the property. Think of your listing as a tour guide. It should draw your photos, floor plan and video together to create a walk-through experience that encourages your readers to imagine themselves exploring the home. While it is important to include the basic features of the property in the listing, you need to also create a narrative that speaks to the lifestyle potential of the home. For example, don’t simply list the features of a ‘gourmet kitchen’. Rather, describe how the kitchen flows to a central living space that’s bathed in natural light and opens to a lakeside deck for alfresco entertaining with friends and family. 3. Say it With Video - Promote Your Listing, Your Neighbourhood and Yourself. An online listing gives you the opportunity to showcase a property not only with photos and text, but also with video content. According to information on Mashable, 73 percent of sellers want to list their house with an agent who uses video. When you consider that according to a recent study by an Australian Real Estate Group, listings with video attracted 403 percent more inquires from buyers than those without video, it becomes clear that realtors cannot afford to ignore video when it comes to marketing luxury properties. Your videos should be more than a simple slideshow of the photos you have already posted as part of the listing. Just like the text in the listing, the video should tell a story about the property. Here's an interesting number from NAR: 86 percent of buyers who used video in their home search were looking for neighbourhood information. What does this mean? Don’t be afraid to stray outside the home – show people enjoying the nearby lake, vibrant local coffee shops and strolling down the town’s picturesque high street. This will create a strong vision of the property’s lifestyle potential and help to build an emotional connection to the home. Moreover, if you are an agent, why not give those buyers what they want by making an informational video about your niche neighbourhood? This will allow you to showcase your knowledge of the area and introduce yourself to new clients. Here's an entertaining video that showcases the home and neighbourhood. While having professionals do the work for you is always an excellent choice, it doesn't have to be expensive to create original video. We found a nifty app called VideoShop that is only $2.79 to download. You can use it to create your own videos with the photos and video from your phone and upload them to social media or YouTube immediately. Remember to make sure you have the right to use the music and photos in the digital media that you create. With new apps to simplify editing, making real estate video can be quick and easy. While print advertising still plays a role in real estate sales, the internet is swiftly taking over as the go-to place for property searches. According to the National Association of Realtors, 88 percent of home buyers used an online website in their home search. In addition, 43 percent of buyers found their home online in 2014 compared to only 8% in 2001. Luxury properties are also ideally suited for online marketing. Take advantage of niche web portals, as well as free listing sites such as Craigslist to get your listing out to buyers. Listing your waterfront estate on a speciality property portal, such as Waterfront West, connects you with a niche audience of upscale buyers who are specifically searching for homes that match the profile of your property. Likewise, creating a microsite for your luxury property allows you to drive traffic from your online listings to a dedicated website that draws together all your marketing collateral to create a digital presentation that showcases the home in all its grandeur and directs buyers to a clear call to action. With a red-hot marketing campaign pulling in leads, it’s now up to the Realtor or seller to capitalize. Response time is critical here – in a recent study by PCMS Consulting, almost 75 percent of real estate leads generated online were lost due to realtors not responding within an average of eight hours after receiving an online enquiry. Lead response time is critical for online leads. It’s a cliché but nonetheless true – Realtors or property sellers must strike while the iron is hot. If you’ve got it right, your listing will have used a combination of photography, captions, text and video to sell the lifestyle that comes with the given property and create an emotional connection with the potential buyer. This, of course, creates a sense of excitement that drives the buyer into making first contact with you; however, this excitement has a strict expiration date. Fail to respond within eight hours and the buyer will likely move on to the next property that catches their eye. 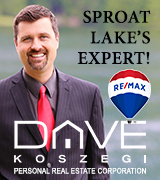 If you have any questions about marketing your waterfront property, please comment below or feel free to email or call us at 1-866-799-9378 for more information. As a copywriter with Waterfront West, Shane provides writing services for any of our clients who desire professional copywriting for their luxury waterfront property listings. 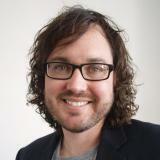 He is an experienced freelance journalist and former magazine editor, and writes about the real estate industry as a columnist with Real Estate Business Online and as a contributor to inman.com. He is also the author of The Complete Guide to Writing: Property Listings and co-founder of The Content Creators where he works with a range of SMEs and large global brands including Toyota, Virgin and American Express. 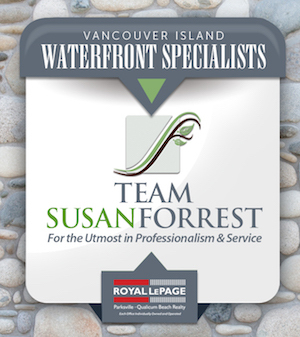 Shane is standing by to write your Waterfront West property listings. To order, please contact us.